Initially Laptop Bags were meant only to keep the laptop and the related accessory. 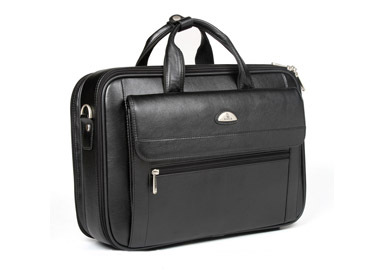 The trend of Laptop Bags started when office going people found it easy to carry and obtained a style value to the bag. Then the sale of Laptop Bags quadrupled or may be even more then the manufacturers expected. Presently, amongst all the other bags available in the market, Laptop Bags have the maximum share in sales in metropolitan cities as well as small cities. Laptop nags are available in different sizes and different patterns, be that Leather or PU or Rexine fabric, the best alternate for leather users. Initially we have started into manufacturing of Travel Bags, Trolley Bags, Laptop Bags, Back Packs, and Gym Bags and gradually increasing as per the demand. Our prime target is to build trust amongst all our clients with our quality, after sales service and the most important pricing.